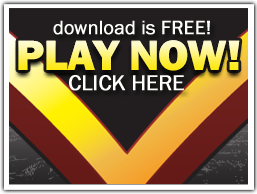 Guaranteed bounties, re-buys and freeze outs up to $25,000 every day of the week! Don’t miss a shot at our new $150+12 $100,000 Guaranteed tournament every Sunday at 5pm Eastern! You can buy-in directly or satellite in with one of many different satellite options running daily including Cash, Gold Chip and freeroll satellites all available under the Satellite tab within Tournaments. The top 20 players in each $100K Weekly Guarantee earn points towards the prestigious Card Player Online Player of the Year (OPOY) award. Please note players must maintain the same Player ID throughout their tournament play to ensure they receive points. *On the final sunday of each month the $100′000 Guarantee willbe replaced by our $250′000 Guarantee. On the last Sunday of every month get ready to share in $250,000 guaranteed. The main tournament will run at 5 pm EST, with a buy-in of $250 +$18. Plus, the top 20 players in each $250K main event now earn points towards the prestigious Card Player Online Player of the Year (OPOY) award. Please note players must maintain the same Player ID throughout their tournament play to ensure they receive points. You can buy-in directly or satellite in with one of many different satellite options including Cash, Gold Chip and freeroll satellites all available under the Satellite tab within Tournaments.